Data loss on Servers and Computers is in the first instance usually attributable to data loss due to faulty Disk Drives or RAID Arrays and as such requires professional data recovery using professional tools and processes. This is an area of data recovery which we specialise in having garnered a wealth of experience successfully recovering over many years. In Server data loss situations, however there can be mission critical applications running on the machines that having professional approach and methodology to recover the data quickly as data loss is not an option. We have a wealth of experience in the area of MS Exchange Data Recovery, Unix Recovery, Linux Recovery, VMware Data Recovery, MySQL Data Recovery and have successfully recovered critical data for many very relieved IT Managers and CTO’s and company owners over many years. 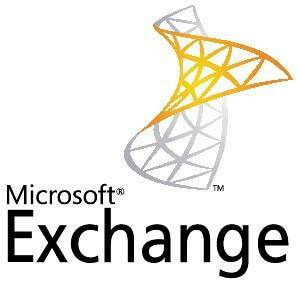 The MS exchange server is a tool which allows many companies to deliver a higher level of productivity and if there is one downside to the MS exchange, it is that once implemented companies become extremely reliant amd dependent on it. That means that when disaster strikes at the MS exchange server level, serious problems can occur which require professional exchange server recovery. In cases like this, it will always be necessary to contact a professional hard drive repair company. We have in-house developed processes, tools and technology to recover emails, tasks and notes from the Exchange database and edb recovery, PST recovery and OST recovery are carried out in a specialized and professional Class100 cleanroom to ensure that data is safe at all times and that no contaminants interfere with the MS exchange recovery process. We have the expertise and specialised tools to recover data from any UNIX and Linux systems, whether you are using a RAID 5 server or simple terminal. If you have experienced data loss from a UNIX or Linux system it is extremely important to recover the files as soon as possible because once the space that the file had occupied is overwritten it is gone forever. VMware platforms offer cost-effective virtual solutions that allow for hardware independence of operating systems and applications, which enable companies to deliver improved efficiency, however compromised data is still a risk within any virtualised infrastructure. Here at Data Recovery we have a wealth of expertise and resources to recover files from all types of file systems. and various VMware configurations. VMware vStorage VMFS volume corruption. Deleted VMware vStorage VMFS volumes. Virtual Machine Disk Format (VMDK) corruption. Traditional RAID and hardware failures. Locked database or .mdf file. If you see your problem listed above, chances are we will be able to recover the data for you. We have extensive knowledge of email file structure and the way these files are stored on individual systems and mail servers and we have developed a range of email recovery tools and techniques that allow us to retrieve emails with all inherent objects (e.g. body text, sent/receive details, attachments, headers etc.). Our email recovery service also encompases a range of solutions for retrieving corrupted or deleted contact details, appointments, calendar items, scheduled tasks etc. Due to the fact that PST files are generally quite large and are often open in the background while the user is performing other tasks and saving data to the hard drive, deleted PST files are usually stored in an extremely fragmented way on the hard drive. This makes recovery impossible in most cases by using generic, off-the -shelf recovery software. ©2018 Data Recovery Ireland. All rights reserved.